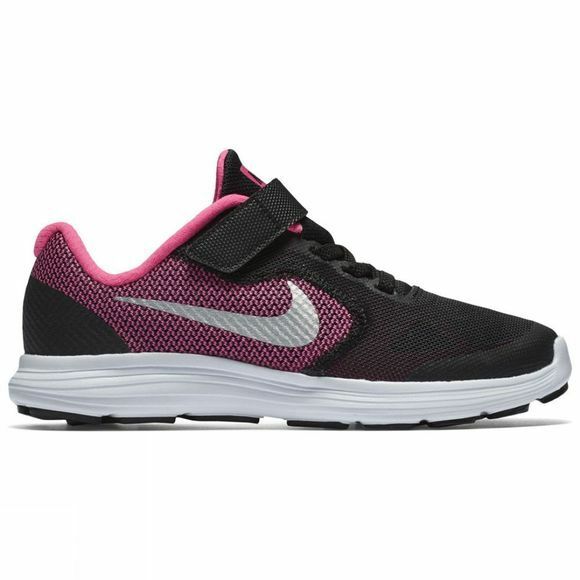 The Girls' Nike Revolution 3 Shoe has a lightweight mesh upper with no-sew skins for a breathable, supportive feel. Flex grooves channeled in the full-length foam midsole promote natural motion. 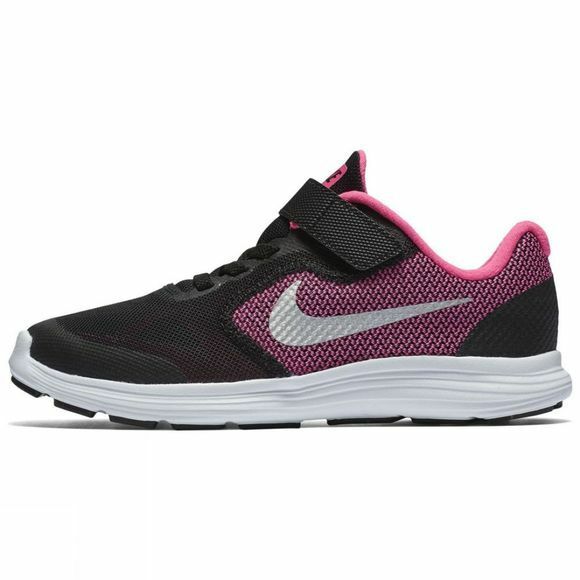 The mesh upper has no-sew overlays for a snug, breathable fit.